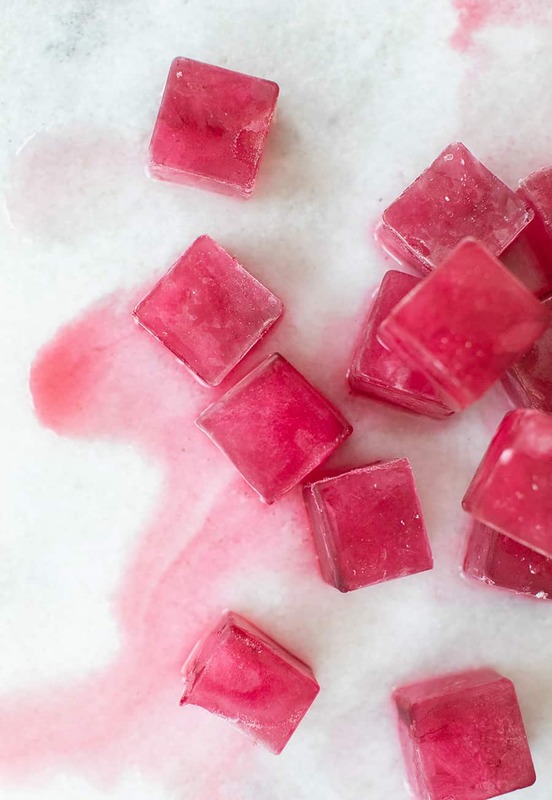 Colored ice cubes add such a fun and charming touch to a cocktail and with Valentine’s Day near, we created naturally dyed pink ice cubes! We use natural herbs to make the color as I just don’t love the idea of drinking chemical dye! 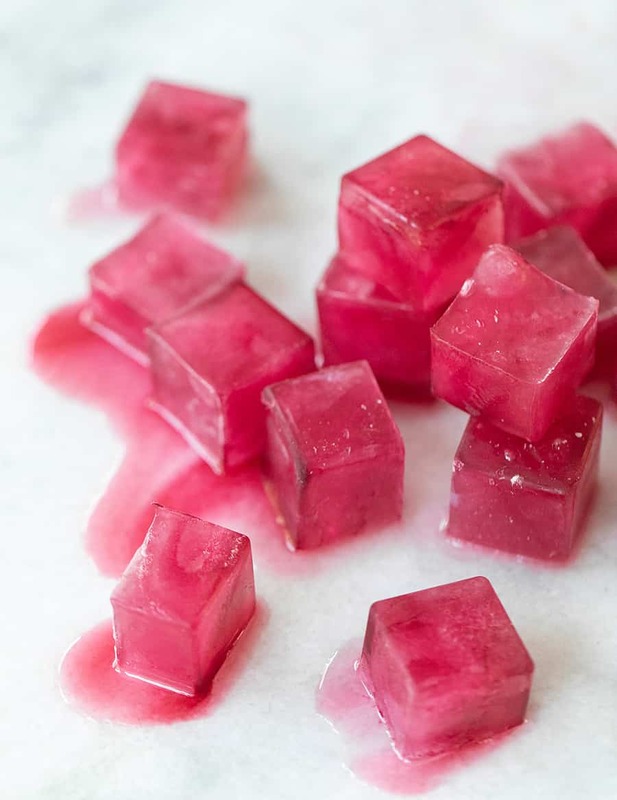 We also made blue ice cubes you can check out here using butterfly pea flower, which also turns purple when you add a citrus. 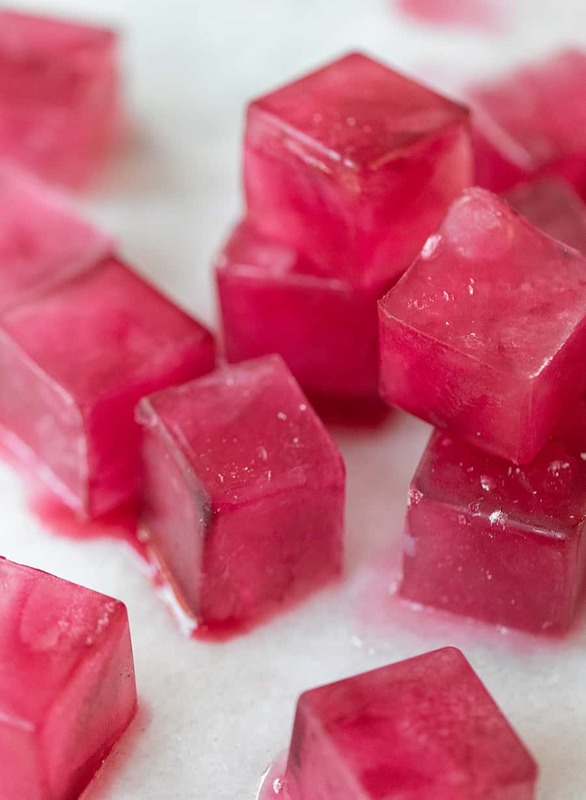 For these pink ice cubes, we used a dried hibiscus flower. Hibiscus flower is a large, beautiful flower that grow in the tropical climates. Not only do that create the most beautiful color of pink, they have been widely used for health since the Egyptians! They’re also packed with antioxidants and vitamins. Wouldn’t you take this over chemical dye any day?! 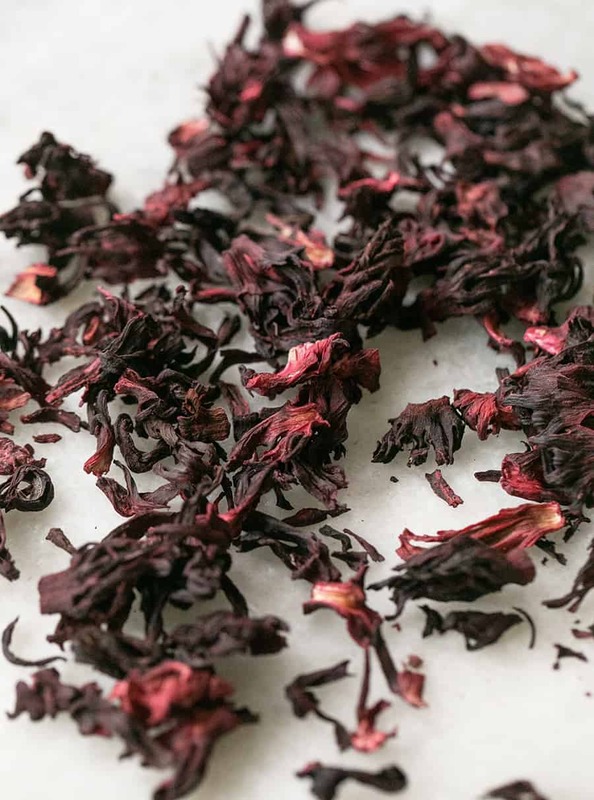 You can get hibiscus flowers at grocery stores or online. They’re usually sold in those giant bins where you can grab how much you need. Also any Latin grocery store has them too. Boil the water and the flowers, then let them simmer. The color will quickly become a beautiful shade of pink! It’s important to not add too many flowers, as it will make the ice cubes so dark and a little sticky when they freeze. Another quick tip, once the water has cooled to just luke warm, pour it into a bow with a spout. It makes it much easier to then poor into the ice cube tray. I have used these 1.5″ ice cubes trays over and over! I have 4 trays so I can make many ice cubes at once. Of course, you can use whatever you like, even shapes! Look at the vibrants shade of pink?! Can you believe that’s all from a hibiscus flower? It so beautiful in a cocktail too. You can add them to a Gin + Tonic or a summer punch! They don’t have much flavor so they’re purely just for color and fun! Let us know if you make these! I can’t wait to see your pictures! Please share with us on social @sugarandcharm! In a medium pot, bring the water to a boil. Lower the heat and add in the dried flowers. Let the flowers simmer in the pot for 10 minutes until the color turns pink. Remove from the pot from the heat and let the mixture cool to room temp. 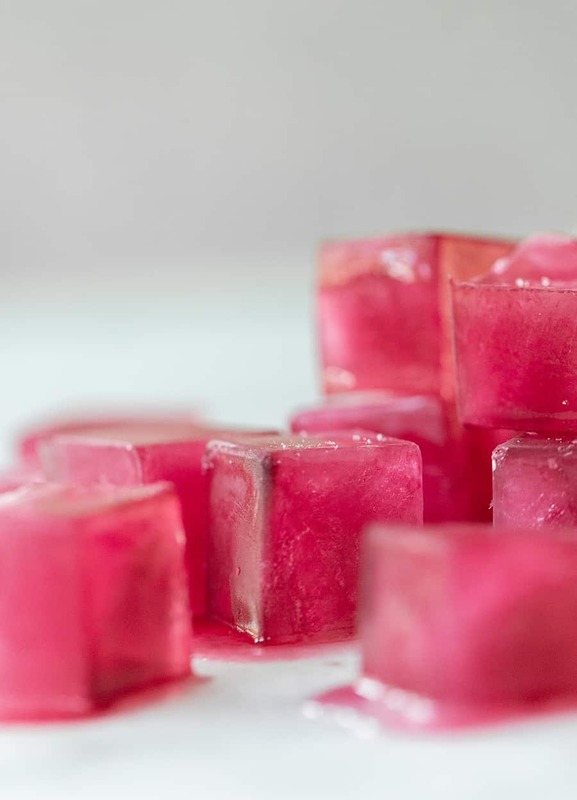 Using a bowl with a spout (or a liquid measuring cup with a spout) pour the pink water into 1" ice cube trays. 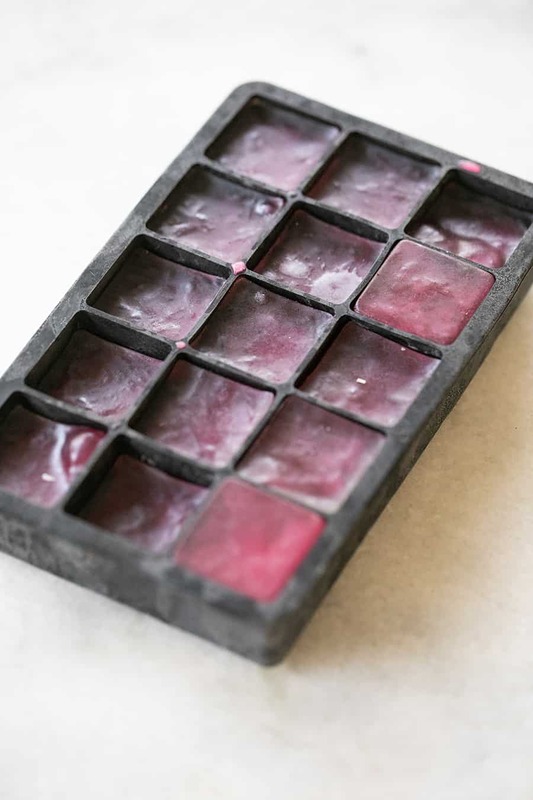 Freeze overnight for perfect pink ice cubes!